Could very high pressures in the left side of the heart during exercise be responsible for horses bleeding into their lungs? An American study, led by Warwick Bayly of Washington State University, is testing the theory that the condition, known as exercise-induced pulmonary hemorrhage (EIPH), occurs because very high pressures in the heart’s left atrium during exercise result in pressures in the lungs’ smallest vessels that cause them to break and bleed. Such bleeding is seen most commonly in racehorses, but can also occur in greyhounds and healthy human athletes, as well as in patients with conditions such as heart failure. Investigations using bronchoalveolar lavage indicate that lung bleeding occurs in almost all horses in racing or training. It is due to high pulmonary capillary pressures and very negative alveolar pressures that build up across the thin blood–gas barrier in the lungs. This barrier ruptures, allowing blood to invade the lungs. Lasix, the common brand name for a diuretic called furosemide, is used on raceday by many trainers in the US because it is the only scientifically recognized drug that can significantly reduce the severity of EIPH. However, how it works is not clear. The industry in North America is divided over furosemide’s raceday use. While Lasix is known to reduce the chances of lung bleeding, animals given the drug also shed a large amount of water and can race up to 25 pounds lighter. Supporters say furosemide protects the health of horses and a ban would result in more racehorses pulling up with blood coming from their noses. Opponents say that permitting the drug’s raceday use is damaging the sport’s reputation. Bayly has a long-term goal is to elucidate the reasons EIPH occurs. While the fundamental cause is that the smallest blood vessels in the lungs (the capillaries) break when horses gallop fast, the study team wants to know why. Until now, the emphasis has been on the blood pressure responses of the pulmonary artery to this type of exercise. This artery takes the blood from the right side of the heart to the lungs. It has gradually been accepted that the development of EIPH is not compatible with this approach, and that breaking of lung capillaries is more mechanistically compatible with increased pressures in the left atrium, which is the heart chamber into which the blood flows after leaving the lungs. Baylay says identifying the basic cause of EIPH must be a high priority if better treatments for the condition are to be found. 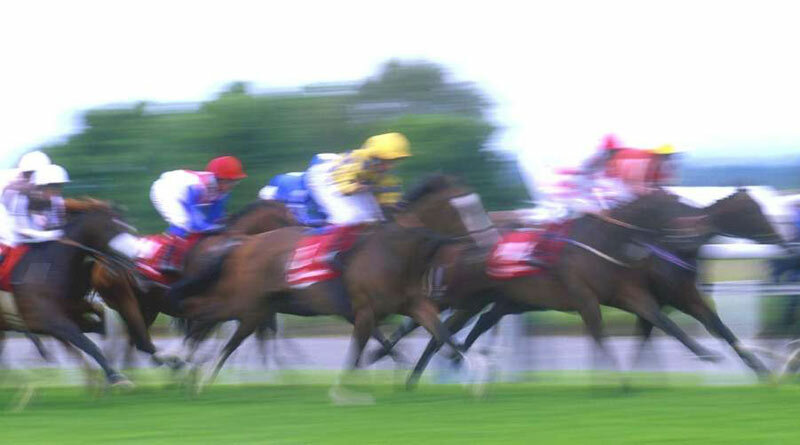 Because human athletes with too much blood in their left atria (called volume overload) can also experience mild EIPH and because athletic horses can naturally increase their blood volume by up to 50% when they compete at the gallop, the study team is investigating whether this huge increase in circulating blood volumes is more than the left atrium can handle, causing three to ten-fold increases in the left-atrium pressure from resting levels. Horses’ left-atrium pressures when galloping hard are much higher than those recorded in trained human athletes exercising at comparable intensities. For the study, the researchers will be measuring the left atrium pressure in two ways – measuring the pressure in smaller pulmonary arteries (known as wedge pressure), and measuring the pressure in the left heart chamber (the left ventricle) into which the left atrium empties. “Both measurements are recognized as valid in direct measures of left atrium pressure. The study will involve 12 horses. Each will complete a number of strenuous exercise tests on the treadmill with normal and reduced blood volumes and also following Lasix administration. The wedge pressure and the left ventricular filling pressure will be measured throughout all these exercise tests. The results of the post-exercise assessment for degree of EIPH will be related to the left atrium blood pressures determined from the wedge pressure and left ventricle pressure measurements. “We expect to find that lower left atrium pressures are equated with reductions in the severity of EIPH and that, similarly, if left atrium pressure is increased the EIPH is worse. “With this relationship clearly established, we and others will be able to turn their attention to identifying treatments that can effectively lower the left atrium pressure response to exercise without interfering with the ability of the horse to perform.